Real Madrid and Spurs go head to head in the Champions League on Tuesday night. Can the Spurs spring a major upset or will the Galacticos maintain their 100% record and take a big step towards the knockout stage? 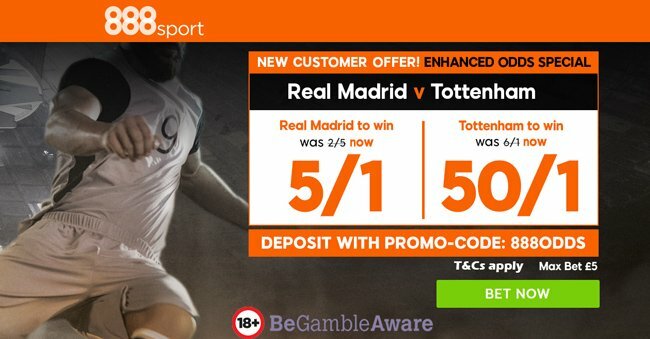 This article contains our Real Madrid vs Tottenham betting preview with predictions, betting tips, starting line-ups, team news, enhanced odds, exclusive offers and no deposit free bets on this week's Champions League! Real Madrid enter this match on the back of a hard-fought 2-1 win at Getafe in La Liga, a victory that close the gap behind leaders Barcelona to five points after the Catalans drew with Atletico Madrid. Their major failures this season were a defeat to Real Betis and draws against Valencia and Levante. In Champions League, the Blancos have raced out of the blocks by following up a 3-0 win over APOEL Nicosia with a superb 3-1 victory at Borussia Dortmund last time out. Real Madrid's Champions League record on home soil has been imperious in recent years: they have lost just two and drawn five of the last 45 games at the Bernabéu. First-choice goalkeeper Keylor Navas is a doubt due to his foot injury and he is likely to be replaced by Kiko Casilla between the posts. The likes of Marcelo, Theo Hernandez and Toni Kroos will all return to action while Gareth Bale continues to nurture a recurrence on his calf injury last month. Since Dani Carvajal is a major doubt, Zinedine Zidane is expected to give the youngster Achraf Hakimi a starting berth as right-back. 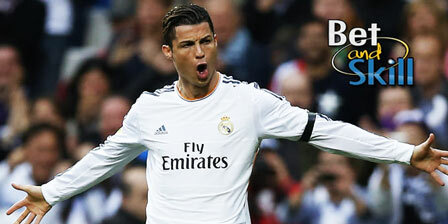 Up front, Cristiano Rolando and Benzema will play as forward, Isco as number ten. Tottenham fought hard to beat resilient Bournemouth at home last weekend, a narrow 1-0 win that extended their unbeaten run to 9 matches. That was their first in the league at Wembley. Spurs have won both their Champions League fixtures so far, beating 3-1 Borussia Dortmund at home and 3-0 APOEL Nicosia on the road. Domestically, they suffered only a defeat (1-2 against Chelsea at home) but their draws at Wembley against Burnley (1-1) and Swansea (0-0) left them in 3rd position, 5 points behind table toppers Manchester City. Pochettino's men have been in flying form away from home, winning all five competitive matches on the road, scoring 15 goals and conceding 2. Dele Alli serves the third of his three-match ban on Tuesday night, but Jan Vertonghen returns after a one-match suspension. The Belgian is likely to replace left-back Ben Davies missed the Bournemouth match due to illness while Serge Aurier is expected to start on the other side. Harry Winks and Moussa Sissoko are likely to start in midfield as Eric Dier will be moved in defense. Up fron, Harry Kane will lead the line, with Christian Eriksen and Son Heung-Min tucked behind him. The likes of Victor Wanyama and Eric Lamela remain sidelined while Danny Rose, Georges-Kevin Nkoudou and Mousa Dembelè are doubtful. "Real Madrid vs Tottenham betting tips, predictions, lineups, odds and free bets (Champions League - 17.10.2017)"